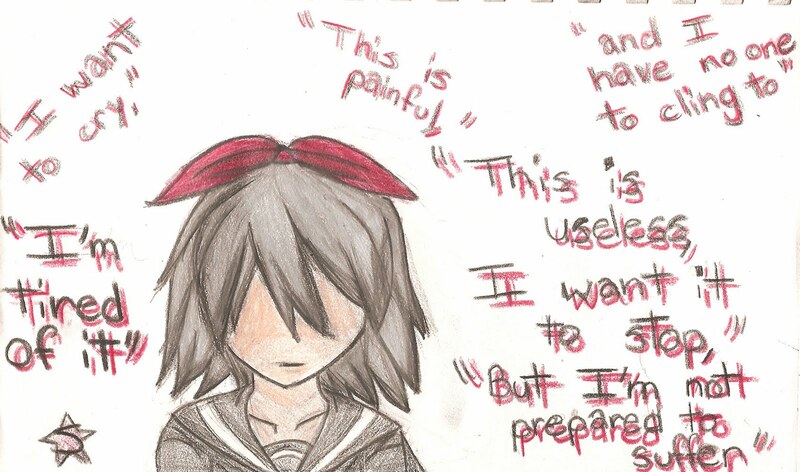 “I drew this ’cause I was being bullied and feeling useless that day. I found the song Abstract Nonsense by Rin Kagamine (a Vocaloid song), and it somewhat related to me. So, I did a little fanart!